1/3 mile short Oval in Claremont, New Hampshire. This was created for a series due to run at the Race2Play league and was built, optimised and tested in just under 24 hours. The track was built with just reference photos and Google Earth to get the layout right. There are issues with the safety car on rolling starts. I wouldn't recommend them. It's simply because of where the safety car sits and the pit lane exit point. Installation: Extract .RAR into your Locations folder. Fixes the problem with track folder not showing up in the track selection screen. This wasn't a global problem, but it was fixed for those of you who were having it. Brian Johnson, Caitlyn Towle, Google, Brendon Pywell of BTB, the Twin State Speedway. v1.1 Thanks: Kevin Laforest for actually getting the track to show up in the menu, which many of you were experiencing. There are currently no setups for Twin State Speedway. Add a Setup. Is there anyway to fix the pace car bug on rolling starts? 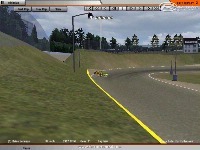 Hi, I'm working on fixing similar issues with my project track, Wall Stadium for rFactor. Have you had any luck with fixing rolling starts with the pace car? 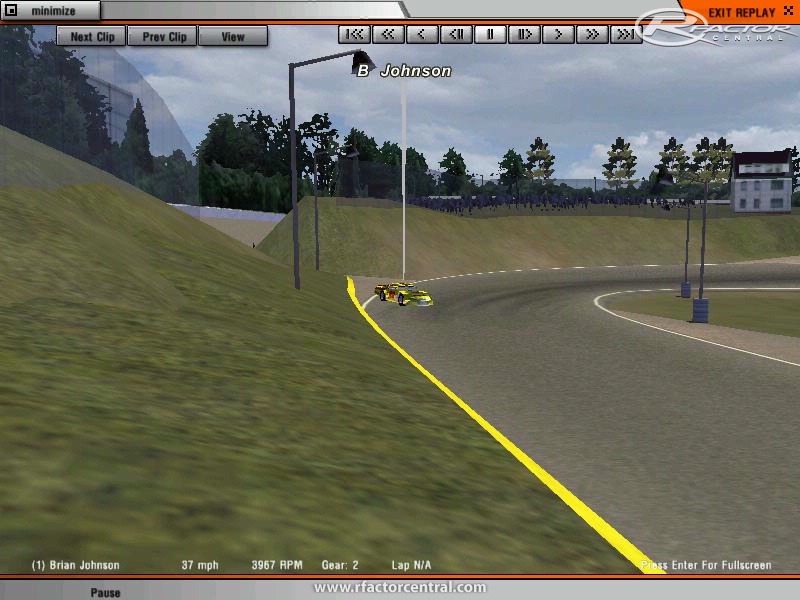 I found by moving xsector2 before the xpitin on the track, the pace car entered the pits. The pace car stopped my AUX2 in the pits, but the laps would never start and the AI of the cars would be all mixed up. In every tutorial it states xfinish should go through the pits but in this track configuration it can't. I wonder if that is the issue. cashewboy check your privite messages i got everything to work!!! I have a working copy, with all files named to Twin State Speedway, and it seems to load fine. Just ran a race with 10 AI. Works lovely. Except the loading screens don't show....other than that, nice stuff. I could also put up this working copy if some would like it. wow, just down the road from me!!!! It should just say Twin State Speedway. It's a shame we cant get this track to work as it looks like it would be a blast to race on. i fell the same way tracks are so easy to install some times in game they are located in a differnt name, when in game what does the track say for the name, I have tried everything in the book looking for this. Lol guys, I never said you didn't know how to install tracks. I'm rooting around to find the problem with this, because like I said, I haven't had any issues with it (and have deleted the original and installed as if I was one of you guys) and neither have any of the guys over at R2P. Just bear with me, if anyone has a fix then upload it. Feel free to edit the GDB if that makes it work for you, but other than that it seems to be only certain machines. well i hqave tried 3 times and it does not show up for me too. I have over over 1000+ tracks so I do know how to install been moding rfactor for years, I tried just the folder , then the raw , normaly with a raw file you can extract and just use the folder neither work. will try 1 more time and reply if it works tonight if no reply no worky.